This modern purpose built office building is part of Alban Park and provides modern and secure workspace with quick access to the A1(M). Located in St Albans and just a 20-minute drive from London, this business centre offers an array of amenities including WiFi, office cleaning, the availability of meeting rooms, parking, reception services, IT support and a board room. The space is close to a range of places to eat, as well as shops and other businesses. The Railway Station is around a 10 minute walk away, offering great transport links. 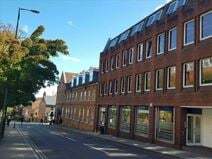 This impressive business centre offers serviced offices in the shadow of St Albans Cathedral. Flexible terms are available, and the centre is easy to access from the motorway. Ideal for a range of business types and sizes, this centre is close to shops, restaurants including Pizza Express and Zizzi's, and other useful amenities including banks and places to stay. The space is accessible 24-hours a day. Recently renovated, this Georgian building comes with lots of common areas, a dedicated reception area, 12 fully-equipped offices, and a shared kitchen. Spread across three floors, the centre comes equipped with 24 hour access, on-site cleaner, on-site parking and a reception team ready to help with any queries for you. The centre offers flexible terms, which means it is an ideal place for younger businesses who can't burden themselves with a long contract. 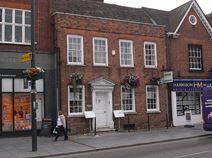 The centre is based in prime St Albans location with many popular eateries and drinking holes in the close vicinity. 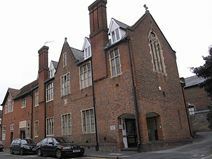 Located in the heart of St Albans, this centre offers a great range of amenities, including meeting rooms and breakout areas, WiFi, kitchen facilities and fully furnished, open plan offices. St Albans offers great transport links, with regular, fast services to London available. The city also has excellent places to eat and drink, as well as shopping options and hotels including a handily placed Premier Inn. This modern building has an attractive façade and fantastic designer interiors and offers serviced office accommodation which benefits from advanced IT systems, car parking and an in-house internet café Victoria Street is in the very centre of St Albans with a wealth of shops, bars, restaurants, leisure facilities and transport hubs on its doorstep. 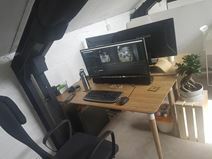 Located in St Albans, this new business centre offers a range of workspace solutions with a great variety of size, meaning it is a tempting proposition for all kinds of businesses. The centre has a wealth of amenities for tenants to make use of, including its impressive 12-person executive boardroom that boasts a 75" 4K screen. It is ideally located within the city, just a few minutes walk from the train station which offers direct access to London Kings Cross.